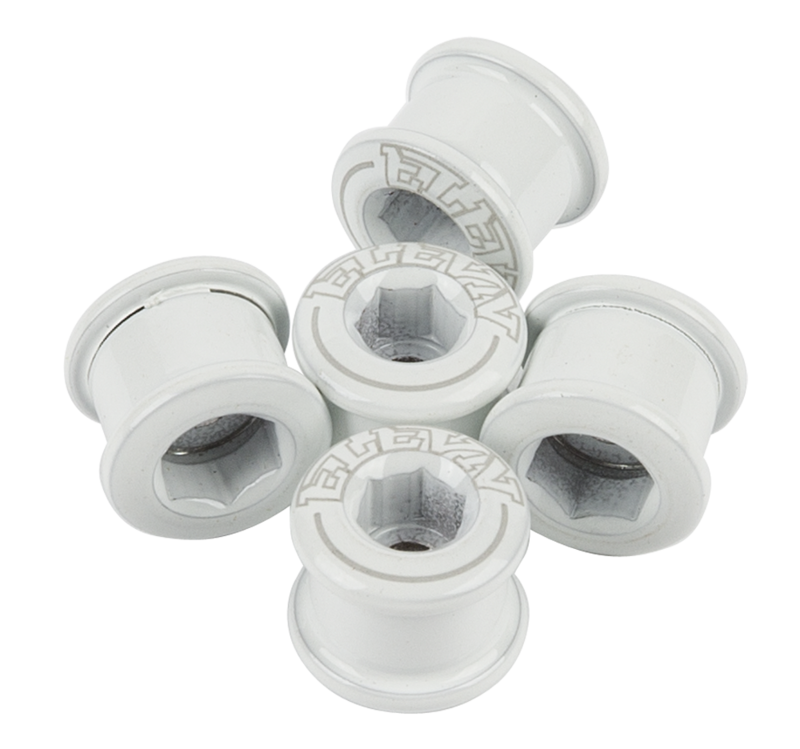 The perfect length to work with both todays slightly thicker 4 bolt chain rings as well as standard 5 bolt rings too. 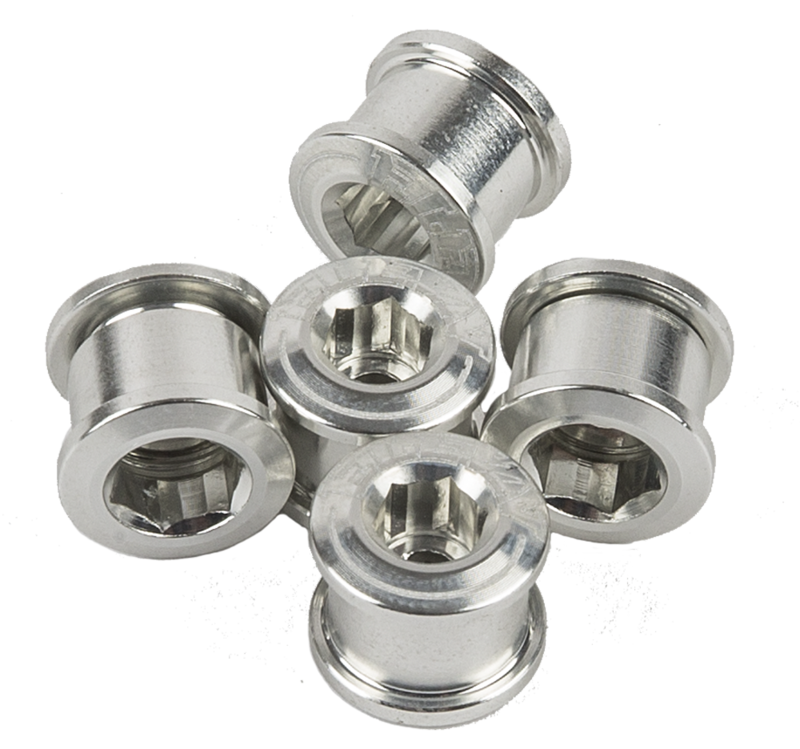 A 5 pack of beautiful Elevn Alloy Chainring bolts help bedazzle the look of your race bike, while the lightweight alloy helps reduce rotating weight on your bike. Each side of the Chain Ring Bolt has an area for an allen key for easier removal. 2 length options to work with both todays slightly thicker 4 bolt chain rings as well as standard 5 bolt rings.